1 Tea with John Stuart Mill, at which there were . . .
4 presenters: Andrew Dalkin, speaking on Mill’s often downplayed commitment to his day job at the British East India Company; Bethany Slater, reporting on the state of the marginalia census, 42,000 items and counting, as well some surprisingly well-preserved botanical specimens stored within books that otherwise received very little attention from Mill; David Howell, showing early analyses of the over one terabyte of hyperspectral imaging data amassed so far; and myself, surveying the multitude of media recently featuring John Stuart Mill, as well as enumerating updates already made to and planned for Mill Marginalia Online – the latter one day to include the future processing of . . .
9819 photos, of pages from . . .
220 volumes, which together accounted for . . .
105 separate book titles, and featured between . . .
7216 and 7321 individual examples of marginalia (the precise number will depend on the final transcriptions). James Mill had been gone for over seven years by the time volume three of Arnold’s History was published, but even so it seems his “natural love” had not been forgotten. 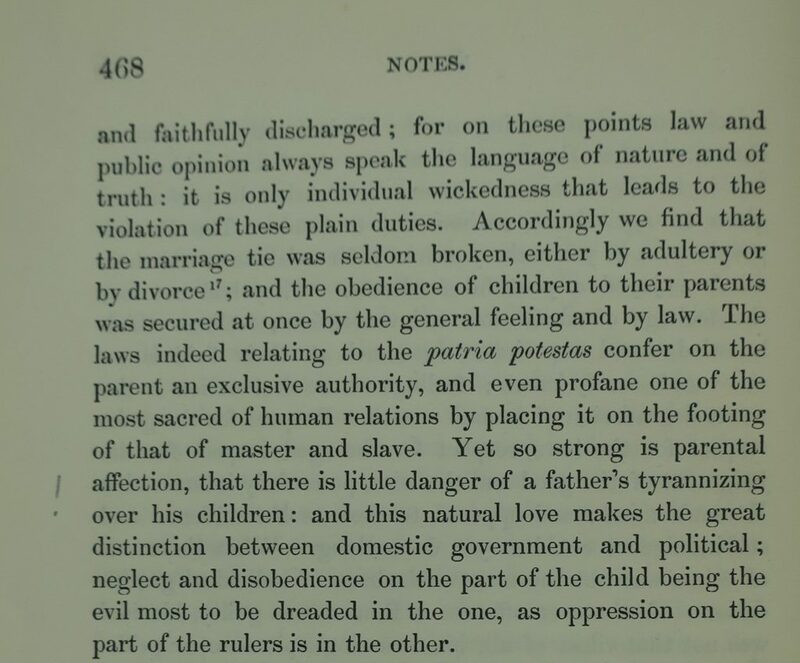 This comparative observation on the progress of civilization in Sicily provides both an example of Mill’s hand from 1855, and an unusually specific record of what he was reading in his 49 year.